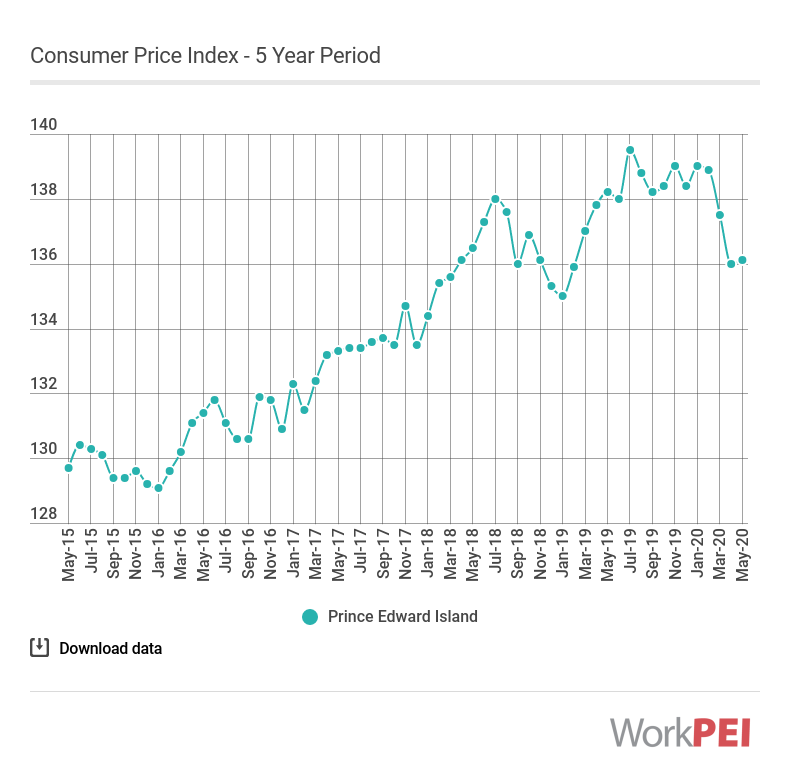 On a year-over-year basis, Islanders paid 0.4% more in February 2019 for the goods and services that comprise the Consumer Price Index (CPI) than in the same month one year ago, which is below the national inflation rate increase of 1.5%. 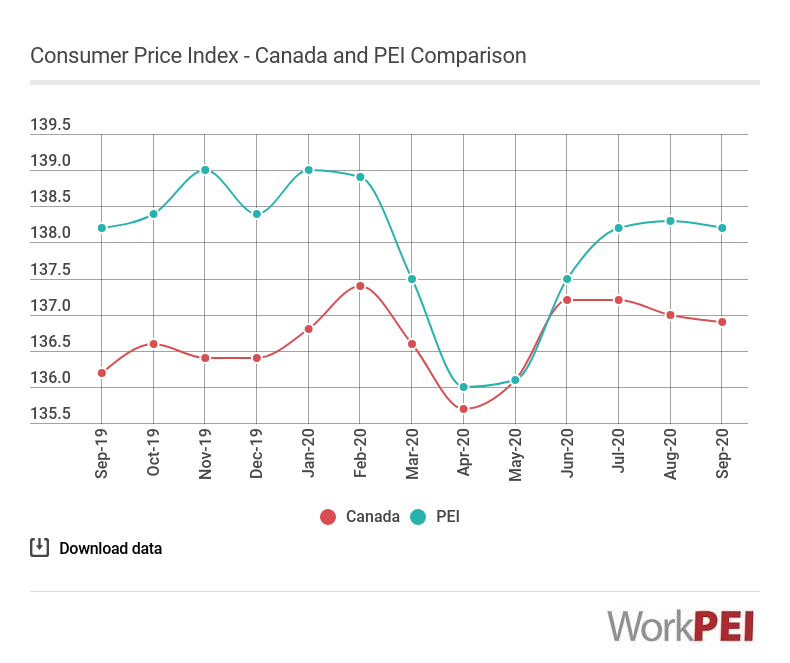 Adapted from Statistics Canada, Table 18-10-0004-01 (Consumer Price Index, 2011 basket). This does not constitute an endorsement by Statistics Canada of this product. 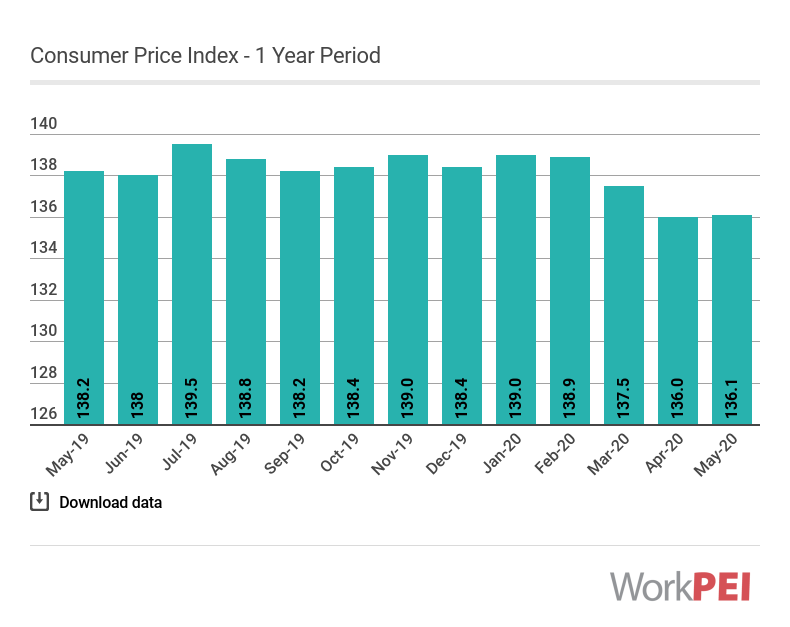 The Consumer Price Index or CPI is an indicator of changes in consumer prices experienced. It is obtained by comparing, over time, the cost of a fixed basket of goods and services purchased by consumers.